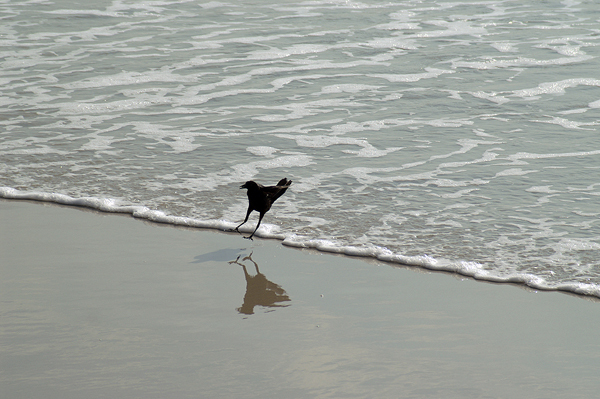 This grackle ran out after the retreating tide to grab a small shellfish for snack. Now it is one hop ahead of the returning tide with its prize. This entry was posted on Thursday, April 12th, 2012 at 9:45 am. It is filed under Animals / Wildlife, Environment, Nature, New Images and tagged with bird, feeding, grackle, hopping, Quiscalus quiscula, sand, shore, tide, water, wave. You can follow any responses to this entry through the RSS 2.0 feed.